One of these…years…I’ll finish writing about our trip to New Zealand, but in the meantime, the government of Queensland, Australia, has published a guide for businesses on inclusive tourism. Sandra Rhodda, who writes about accessible tourism especially from a NZ perspective, has an overview on her blog, Access Tourism NZ: FEB Queensland: New guide about developing Accessible Tourism and the Access Market, and here’s the press release from the office of the Queensland Minister for Disability Services: New guide opens tourism opportunities for people with disability (and how annoying is it that the press release does not include a link to the guide it is announcing?). 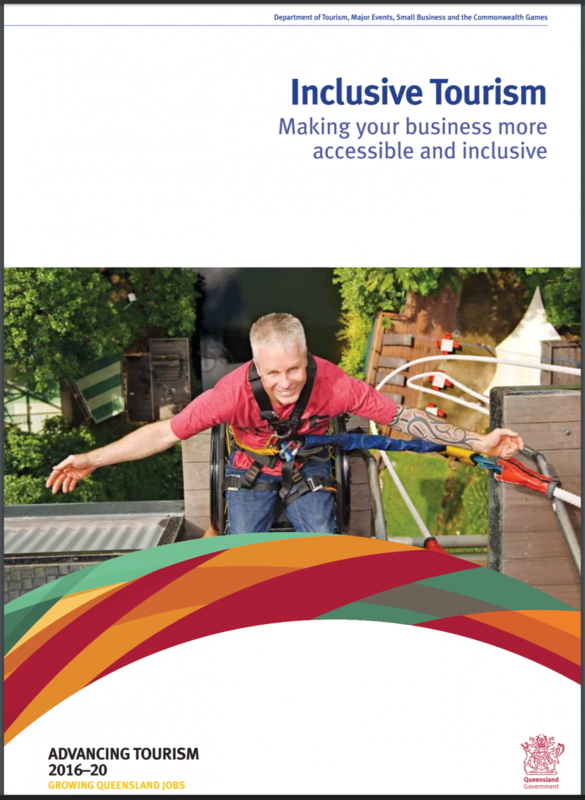 While the guide is aimed at businesses, it contains a number of (brief) profiles of accessible tourist destinations, so might be useful reading for those interested in an accessible Queensland vacation.